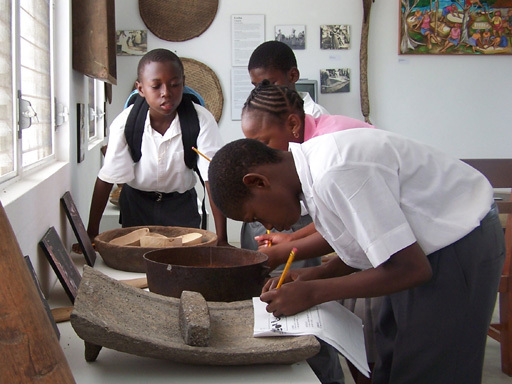 2005 University of the West Indies (UWI) field trip to Hopkins Village, founded 1942, situated on the coast of the Stann Creek District in northern Belize, eight miles south of Dangriga. The National Garifuna Council (NGC) holds a convention every year. At the convention, Garinagu from all districts meet to discuss issues pertaining to the interests of the Garifuna people. The NGC has branches in all 6 districts of the country. These photos were taken at the Libertad convention. Click to read more or watch a language documentary on Garifuna.